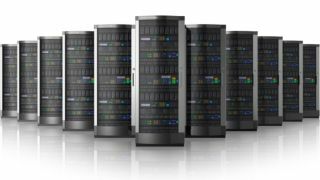 HP has launched two new entry-level additions to its Integrity NonStop servers, offering enhanced availability at a more affordable price. The NS2300 and NS2400 join their more expensive cousins in the HP Integrity NonStop range, running the NonStop operating system and NonStop SQL database. The servers feature Itanium 9500 processors, but beyond that they pack industry-standard components, which allows HP to drive down costs. For those in the telecommunications industry, the NS2400T adds a commercial rack, while the NS2400ST packs a sturdier seismic rack. The defining feature of the Integrity NonStop range is their reliability. They come with strong data integrity and hardware redundancy designed to keep them online no matter what, while virtually unlimited scalability helps deal with unpredicted loads. "Where failure is not an option, NonStop is the answer. In the past, this came at a cost, but you could justify it by the potential cost of downtime very easily," Ken Surplice, product marketing manager for HP Business Critical Systems in Europe, the Middle East and Africa, told The Inquirer. "Today, if you were to look inside a NonStop machine, you would feel at home because it is using common components, just a short step away from x86." He said the entry point for these models has come down, but they're mainly targeted at companies that "cannot afford failure." Financial services are a good example. HP is expect to add x86 servers to its NonStop range in the future. Both models will be priced at roughly $100,000 (£59,000, AU$108,000), though the NS300 should be the cheaper version.